NC House District 82 takes in western Cabarrus County. The district borders northeastern Mecklenburg County, and according to Real Facts NC, "it has a significant college-educated population that makes it competitive." Aimy Steele joined Cabarrus County Schools in 2008 as a Spanish teacher at Northwest Cabarrus High School. Her leadership quickly gained recognition, and she was picked as a "principal intern" at Central Cabarrus High School before joining the leadership team at Cox Mill High School. 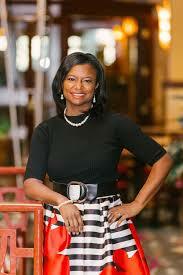 Currently, she is the principal at Beverly Hills Elementary School. She's fluent in Spanish and has friends -- ex-students and their families -- in the Hispanic community. A theme of her campaign, in fact, is "give a voice to those who are traditionally not represented." She knows that community. She makes allusion to "her humble beginnings" on her website. "[I] know first hand how exposure led to open doors that literally changed [my] life." "Exposure" goes undefined, and your guess is as good as mine what she was exposed to, and how, but I bet you five dollars it was provided by government agency, the open hand that Republicans have always wanted to chop off clean, like a careless paw in a circular saw. Steele says, "I feel it is time for advocacy, required to move the needle for things that need to be done.” Pay teachers and administrators much better. Expand Medicaid. Support early childhood education and public transportation services. Give aid to local services managing the opioid crisis. In other words, dismantle the Republican budget -- throw the money-changers out of the temple -- and replace it with a budget that will change the current direction of the state. She is the Wonder Woman mother of five, a top administrator with enormous responsibility, and now a candidate for high office in Raleigh. It's a steep hill to climb, but a wonder woman might do it. She just needs to get practical with her issues -- practical and specific. Republican incumbent Linda Johnson has held this seat for nine terms. That makes her a relic -- a holy relic -- in this particular Republican House, with mainly a lot of brand new Republican personnel since 2010. First elected in the George W. Bush squeaker of 2000, she's risen to be chair of the appropriations committee and chair of the education K-12 committee. She's worked professionally as a tax consultant and a computer analyst, so she's got intimidating skills. Her reelection campaigns -- at least back to 2008 -- ought to scare off potential opponents. Johnson's never gotten less than 60% against a Democrat, and she's been completely unopposed in both the primary and the general election numerous times. She's an edifice that won't crumble easily. Internal House Democratic Caucus polling supposedly sees this seat as "on the bubble," meaning a strong Democrat with an effective campaign could win it. And Real Facts NC has it among its House races to watch. They must know something about Johnson that isn't apparent in far-away counties. Or this district exhibits those traits of contemporary educated suburbia to suggest sudden revolt, plus there's a significant percentage of eligible voters there who often don't vote at all. Johnson lives in Kannapolis. 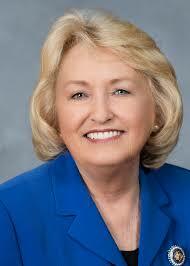 Before she became a member of the NC House, she served eight years on the Kannapolis City Schools Board. In Raleigh she's mainly a team player, voting for all the veto overrides against Governor Cooper. But she only gets a 57% from the NRA. And in 2017, the American Conservative Union gave her only 31% favorable ratings. She's brought that up in 2018 -- back to 86%. Mainly, she's a budget hawk, by which I mean she's stingy like Miss Murdstone. Thom Tillis, the First Manchurian Candidate?